Santa loves putting jewelry in stockings! 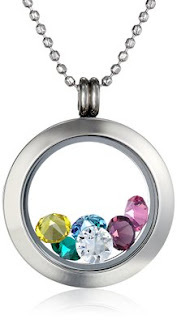 Right now you can get Up To 70% Off Special Occasion Jewelry - starts as low as $9.99! Now through 12/12 over at Crocs.com you can get an additional 30% off Sitewide (no exclusions) with promo code SHIP30 at checkout! * I would hurry! Sizes and selection will go fast at these prices! Amazon - 60% Off Hats, Gloves & More! Today ONLY - Amazon is offering 60% Off Hats, Gloves &amp; More for the Whole Family! Plus TONS more! Head over HERE and browse around Men's, Women's, Boys and Girls. 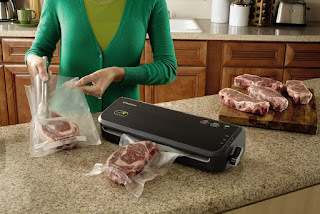 Head over and check out this FoodSaver FM2000-000 Vacuum Sealing System with Starter Bag/Roll Set for $59.99 (Retail $99.99). -Kindly review the videos under the image section and user manual under product details for set up and user guidance. The 12 Days of Deals is going on over at Amazon. 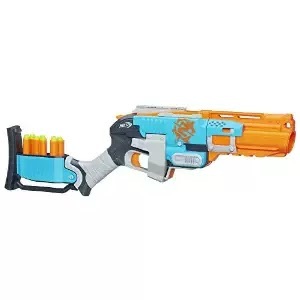 Right now you can save up to 70% off Select Nerf Products. *Amazon prices can change at any time. Disney Store Free Shipping - $10 Throws, $10 PJ Pals & More! I LOVE when these deals come around. The Disney Store is offering FREE Shipping on everything with the coupon code: VERYMERRY at checkout. PLUS you can get 20% off of your $100 purchase with the same code. A couple of my favorite deals include the Personalizable Throws marked down to $10 and PJ Pals marked down to $10! Both retail for $19.95! You'll also find Buy 1 Get 1 50% off Toys and Plush plus much more! Head over HERE to cash in on this hot free shipping offer before it disappears! 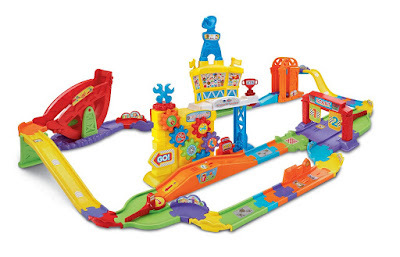 Head over to get this VTech Go! Go! Smart Wheels Ultimate RC Speedway for ONLY $39.99 (Retail $69.99)! 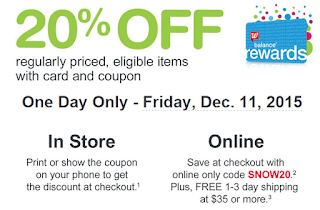 Today, December 11th at Walgreens get 20% off regularly priced, eligible items with your Balance Rewards Card and Coupon. You can also get 20% off online with the coupon code:SNOW20. You'll also receive free 1-3 day shipping with any $35+ purchase. Head over to get this Nickelodeon, Paw Patrol - Plush Pup Pals- Marshall for ONLY $6.78 (Retail $11.99)! 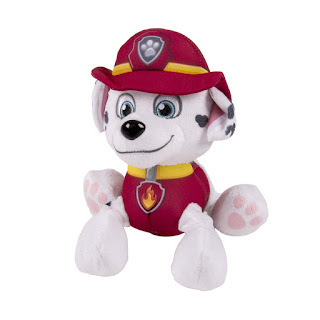 -Paw Patrol Pup Pals are made from premium plush materials that are soft to the touch! -Collect all your favorite Pup Pals including Marshall, Rubble, Chase, Skye, Rocky, Zuma and Ryder! -Light up your child's imagination as they recreate their favorite moments from the hit Nickelodeon Kids show, Paw Patrol! -Paw Patrol Pup Pals save the day for kids ages 3+. -With a unique blend of problem-solving skills, cool vehicles and lots of cute doggy humor, the PAW Patrol works together on high-stakes rescue missions to protect the Adventure Bay community! -A series worth barking about! We always need batteries around our house. Hurry over here and check out the deals on several different bulk packaging on Energizer MAX Alkaline Batteries or Energizes Ultimate Lithium Batteries starting at $18.99! 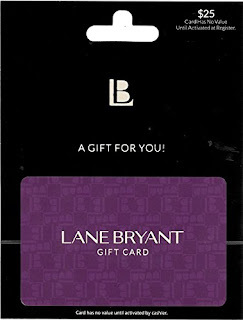 Amazon Gift Card Lightning Deals December 11th - Fandango, Lane Bryant & More! I love finding deals on gift cards. Gift Card Lightning Deals are back at Amazon! 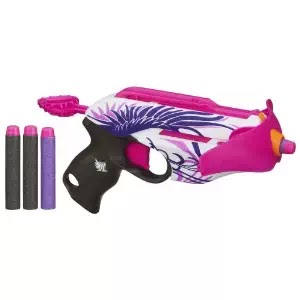 *Keep in mind we do not know the discounted price until the toy’s lightning deal is activated so you will need to check back in on your favorites. I am loving these shoes. Today only get this pair of New Balance Women's Running Shoes for ONLY $44.99 (Retail $109.99)! Feel the science of soft with Fresh Foam, an innovative midsole created from a single piece of foam that provides a lower, more natural underfoot feel. Developed using specialized design software, this lightweight women's running shoe also features breathable air mesh and simple no-sew overlays that wrap the foot in the right places. A full-ground-contact, blown rubber outsole complements the shoe's cushioning and delivers a smooth ride. The New Balance Fresh Foam 980: incredibly soft yet stable. 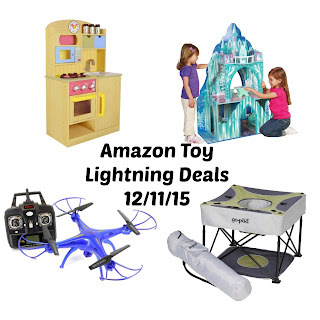 Amazon Toy Lightning Deals December 11th! Handcrafted Nautical Decor Mayflower Tall Ship, 14"
Handcrafted Nautical Decor HMS Bounty Tall Ship, 15"
Handcrafted Nautical Decor Chris Craft Triple Cockpit 20"
*HOT* Blanket Scarves $15.95 Shipped! I'm loving this Fashion Friday deal! 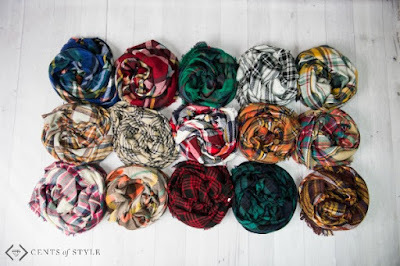 Hurry over and check out these Blanket Scarves | 15 Colors! - $15.95 Shipped w/code BLANKETGIFT, Plus Tribe Bracelets - $9.99 Shipped w/code SLICEOFSTYLE.